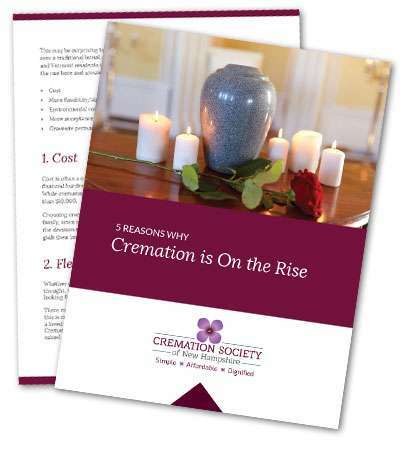 Thank you for taking interest in this free decision guide, “5 Reasons Why Cremation is On the Rise.” We believe this will be a helpful tool for you and your family, even if you’re looking at the distant future. Cost is only one of the reasons why more than 76% of New Hampshire and more than 70% of Vermont residents choose cremation instead of a traditional burial. You may be surprised by some of the reasons why cremation is growing all over the United States.